A Grant is any payment made by Stanley Town Council (the Council) to be used by an organisation for a specific purpose in the furtherance of the wellbeing of the local community, either generally or for a specific purpose, and which is not directly controlled or administered by the Council. The Council awards grants, at its discretion, to organisations which can demonstrate a clear need for financial support to benefit part or all of the Council’s designated area by, for example: providing a service; enhancing the quality of life; reducing crime; improving the environment; promoting the area in a positive way or otherwise positively contributing to the achievement of the Council’s objectives, which are published from time to time. A beneficiary organisation must be either non-profit making or charitable. Grants will not normally be made to individuals except where a benefit to the wider community of the Stanley area can be identified. 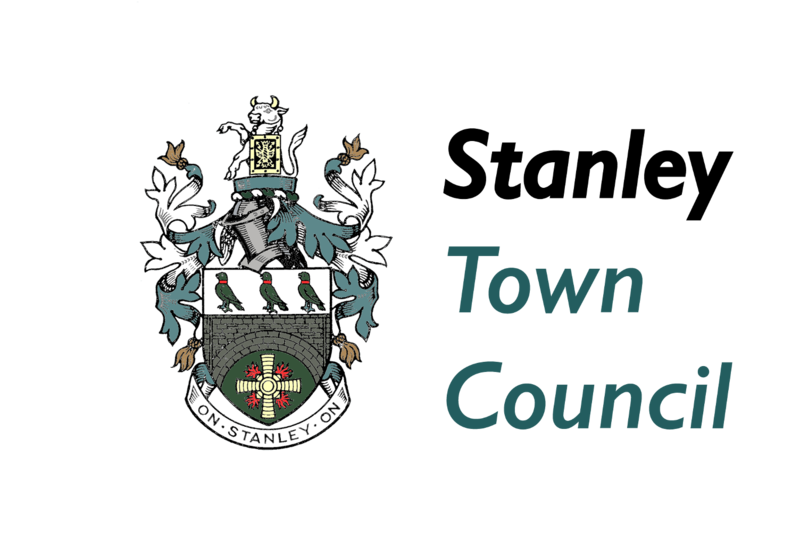 The Town Council will only give grants for purposes which directly benefit Stanley residents and will give priority to organisations which are based in the town. The Council may consider grants to organisations that cover a wider area than Stanley (e.g. the Derwentside area or North Durham) if the organisation provides services to Stanley residents or which benefit the Stanley area. The Town Council will not generally give grants to organisations that operate chiefly for the social enjoyment of their members. The Town Council will not contribute to general national appeals or to appeals that benefit only a single individual. The Town Council has only limited funds and therefore will only give grants to organisations that can demonstrate that a grant from the Town Council will make a difference and that there are not alternative ways of raising the money. You will be required to provide a copy of your most recent accounts (including a balance sheet), annual report if you produce one and details of other organisations approached for funding and whether you were successful. The Town Council will only give grants to properly constituted bodies and charities. This usually means that, at a minimum, the organisation should have clear officers or points of contact and produce annual accounts. All grants will be paid by cheque made payable to the organisation’s accounts. Cheques will not be made out to any individual’s personal bank account. Applicants must identify a specific purpose for which funding is sought. Acceptable examples include capital grants for a specific project or purchase, upgrading existing facilities, training costs, and start-up costs for new initiatives/projects. Grants will not be given towards activities that are part of statutory obligations, or research costs. Retrospective applications where an event or activity has already taken place will not be considered. Organisations with a business or profit making remit are not eligible nor are religious/political activities unless it can be shown that the event will be open to and for the benefit of the community as a whole. Grants will not normally be made in respect of on-going staff, employee or other running costs. The list above provides examples only, for specific clarification please contact the Town Council. The Town Council sets aside money within its budget each year for awarding grants to local organisations and applicants are advised to refer to the annual budget to see the level of allocation for the relevant year. Applications for grants are assessed bi-annually (see Application deadlines section below) and the total allocated funding for each six month period will be 50% of the set annual allocation. No more than £10,000 will be granted through this process to any single organisation in any financial year. Your organisation’s constitution, rules or statement of purpose. If your latest accounts show that a surplus was made during the year (after discounting any previous grant) and there was also a balance in reserve at the start of the year please explain the reason why you are applying for additional funding. Only one grant per year will be made to any applicant and year on year financial support from the Town Council will not be considered. Applicants are not precluded from applying for a grant annually (provided eligibility criteria still apply). Acceptance or refusal of a particular application does not determine, predicate or influence the outcome of any further applications by the Town Council at a later date. The Council reserves the right to attach specific conditions to your individual grant. Any such conditions will be explained in your offer of grant letter. You must state at the time of your application if you are applying to other funding organisations for match or part funding, or if you have already raised part of the funding from other sources. You will be asked to forward to us any publicity and photographic evidence of the project/purchase where appropriate and this may be used on the Town Council’s websites and publications. Applicants for funding may be required to provide a copy of their written Constitution, together with details of their aims and purpose; project or activity; proportion/number of beneficiaries living in the Council’s designated area; and demonstrate a clear need for funding. Applications received between 2nd March and 1st September in any given year will be considered in the first round of grant funding at the Ordinary Meeting of the Town Council in September. Applications received between 2nd September and 1st March in any given year will be considered in the second round of grant funding at the Ordinary Meeting of the Town Council in March. Please return completed application forms and supporting documentation to the address above, marking the envelope: ‘Grants’. Electronic submissions should be in pdf format. All applications are considered fairly and on individual merit at Town Council meetings which are open to public. The final decision on applications and the level of any grant made lies with the Town Council. The Town Council reserves the right to amend these guidelines, and in exceptional circumstances to award grants that do not meet all the criteria.